These triangle crank truss systems feature an easy-to-use hand crank, steel cable gear system to hoist heavy speakers or light cans to heights from 60 inches to 114 inches with ease. 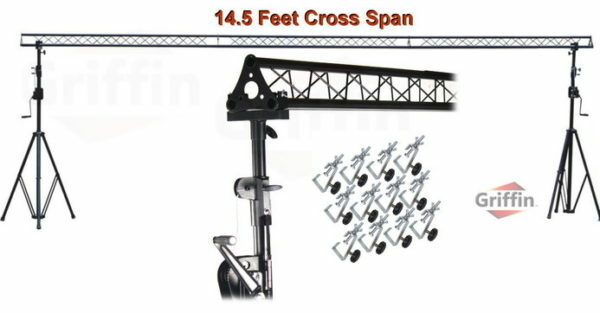 This truss lighting crank stand has 2 stages of interlocking poles for height adjustments and has three triangle truss sections for a total span up to 177 inches wide. 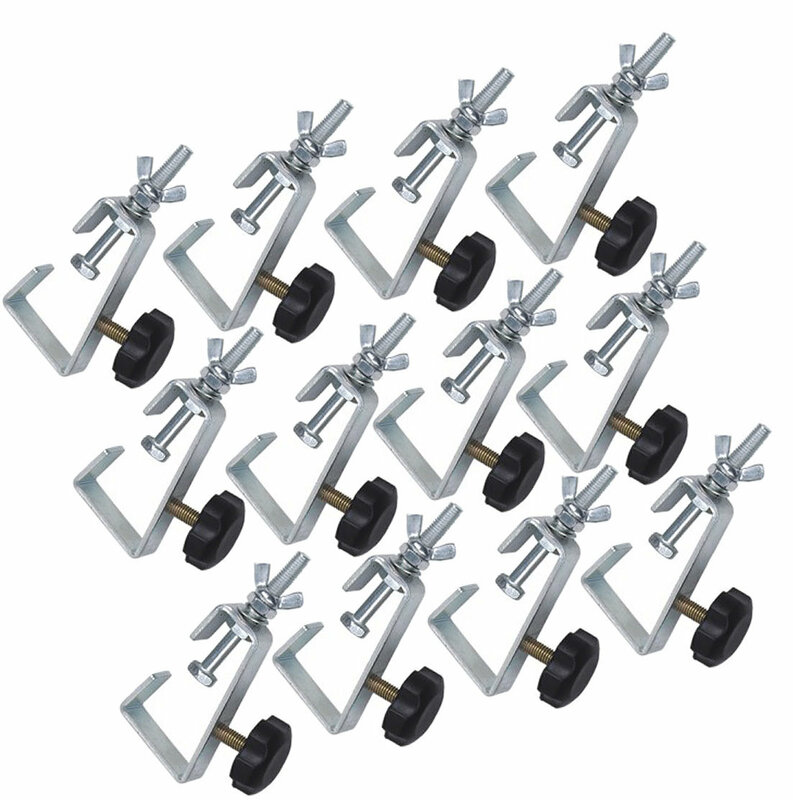 There are a total of 12 metal C-clamps that are included for mounting your light cans and other equipment. Each C-clamp is rated to handle 44 pounds weight load. 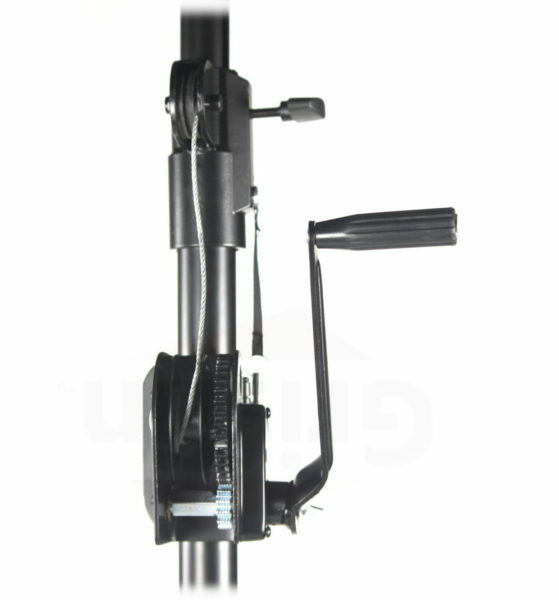 Best of all, these DJ crank lighting trussing stands feature legs that retract and fold up effortlessly for efficient transport. These DJ light triangle trussing systems are exceptionally ideal for the busy roving lifestyle of a mobile DJ and/or the up-and-coming band that is always on the move to the next gig! Do not waste your time comparing these Pro-Audio truss crank up stands to others online. 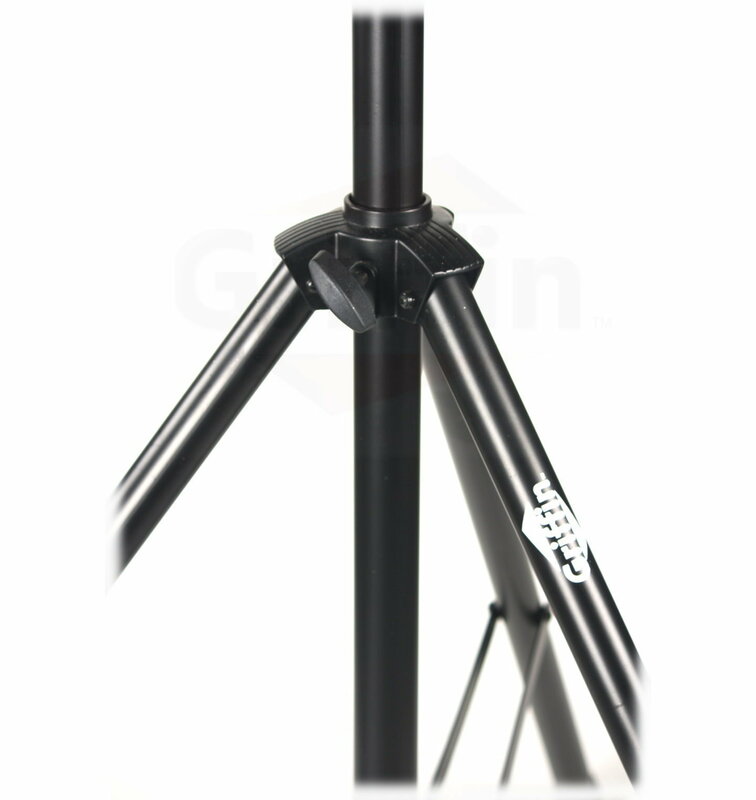 Each PA stage trussing crank up system is made with medium duty steel to be sturdy and durable. 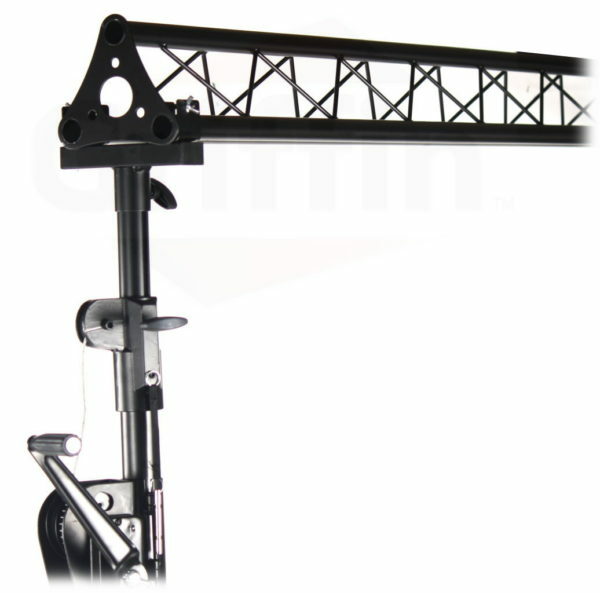 You can trust these triangle crank up truss stand lighting systems to securely accommodate your equipment with a total load capacity of 200 pounds evenly mounted. 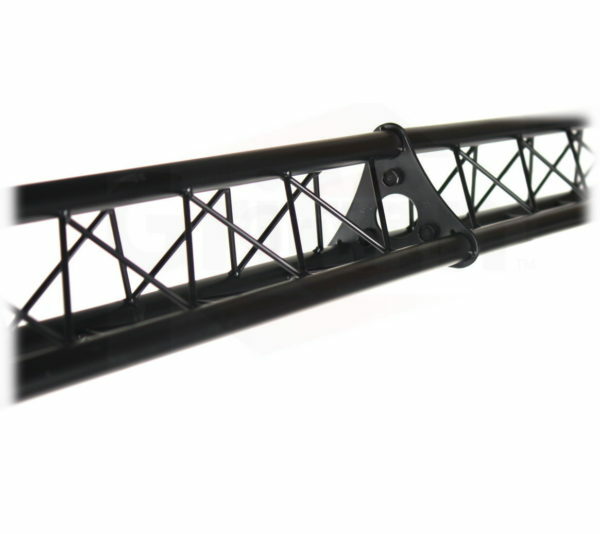 Try finding another triangle crank truss system able to work this hard for you at such a low price; it cannot be done! 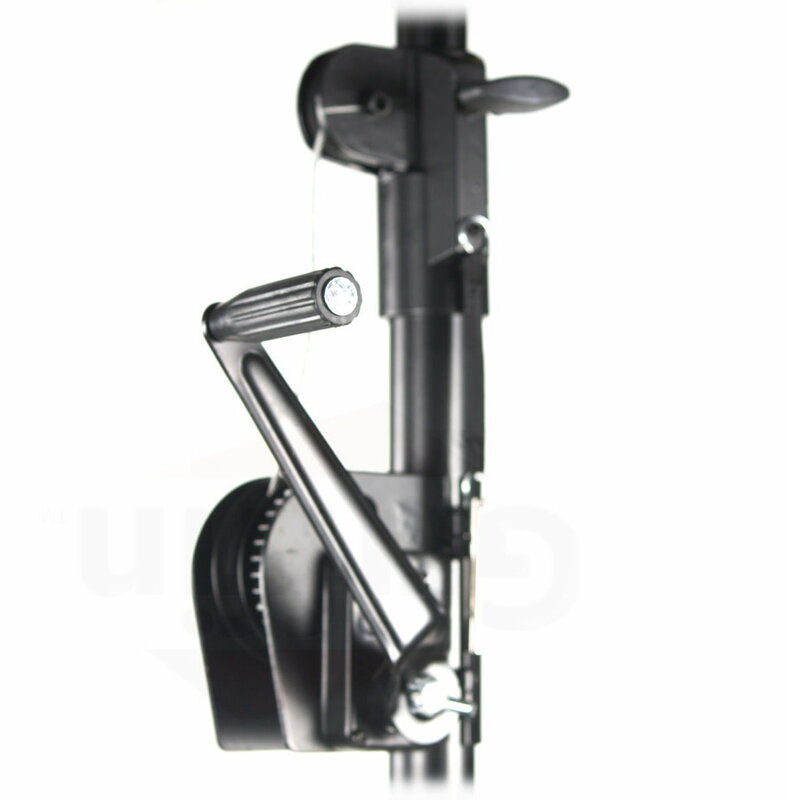 We offer the lowest price for quality truss lighting crank stands. Buy today with peace of mind knowing you are getting the cheapest price possible for these high quality DJ light triangle trussing systems. GIVE YOUR LIGHTING RIG THE PLACE IT DESERVES: Say goodbye to direct lifting and lowering of heavy lighting gear and speakers and hang your light cans up in the air with this premium crank up triangle truss stand! With two smooth and easy to use crank mechanisms (one on each side) and three triangle truss spans, this lighting truss system can reach a total span of 177 inches wide, allowing you to hang up to 200 pounds of equipment. ADJUST TO DIFFERENT HEIGHTS: Featuring two interlocking poles that allow you to adjust the height from 60″ to 114″ according to your needs, this trussing stand offers unmatched versatility and convenience. Included in the package you will also find 12 metal C-clamps (each rated to lift 44 pounds weight load), so you can mount your lights and other equipment with ease. FOLD UP AND GO: With retractable legs that fold up in seconds to allow you to pack up your DJ light trussing stand to your next event, this crank up truss stand is the best option for mobile DJs stage performers or musicians with no time to waste. Specifications: Triangle truss sections: 6″ x 6″ x 6″. Truss pipes diameter: 28.5mm. Diagonal bracing diameter: 6.5mm. Main shaft pipe diameter: 45mm. Top shaft pipe diameter: 35mm. 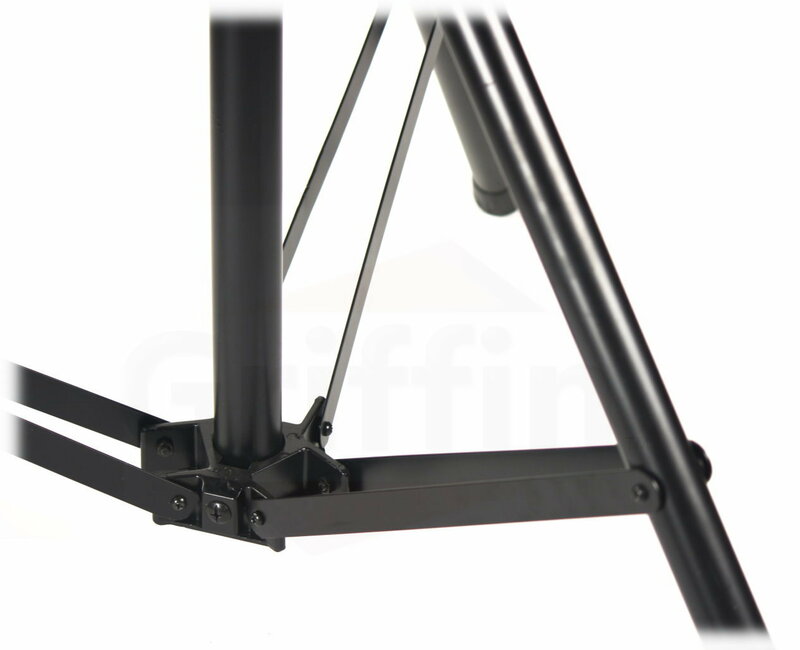 Tripod leg length (each): 34″. Total product weight: 85 pounds. GET IT RISK-FREE: Being so sure about the top quality and outstanding performance of this crank up triangle truss system we are able to offer you a risk-free money back guarantee. Could you really afford to miss this offer?